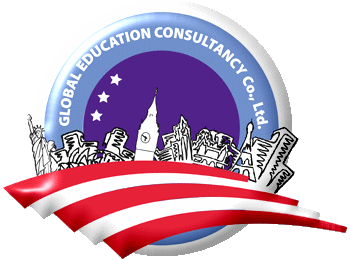 Global Education Consultancy has vacancies for English teachers to teach at schools in Surin, Sisaket and Ubon Ratchathani. All of our schools are in the city centre, close to all amenities. Ubon Ratchathani City - High School. GEC has five foreign teachers at this school, teaching mathayom students. Sisaket City - High School. GEC has twelve foreign teachers at this school, teaching mathayom students. Sisaket City - Kindergarten, Elementary/Primary School. GEC has four foreign teachers at this school, teaching kindergarten and prathom students. Surin City - High School. GEC has four foreign teachers at this school, teaching mathayom students. All positions are eaching 20- 22 periods a week, fewer in most cases. School hours are from 7.30 to 16.00, with ample breaks. Teachers attend morning assembly and have gate duty one day a week on rotation. All contracts run from early May 2016 to March 2017. The salaries are 32,000 Baht per month for native speakers with a degree and all teachers qualify for a 2,000 baht per month attendance bonus that is paid in a lump sum at the end of the contract. All Thai national holidays are paid and two weeks of the October break are paid holidays. All of our schools have English speaking school coordinators who provide orientation and assistance for new teachers on arrival and ongoing academic support and advice for all teachers. Short-term hotel accommodation is provided for new arrivals and assistance is given to find suitable long-term accommodation. All documentation and full assistance is given to obtain a non-immigrant B visa and work permits are provided to qualifying teachers. Applicants must be living in Thailand and available to attend an interview at short notice. Native English speakers from the UK, USA, Canada, Australia, New Zealand, Ireland and South Africa will be given preference, although applications from non-native speakers from European countries (only) will be considered if the applicant has near native fluency and good teaching experience in Thailand. Please note that we cannot employ non-native speakers and nationals from non-European countries for any of these positions.